You won't find the word "marbrakeys" in the dictionary. It is a sound invention of a young brilliant vocalist Almut Kuhne who is at the beginning of her exciting career. 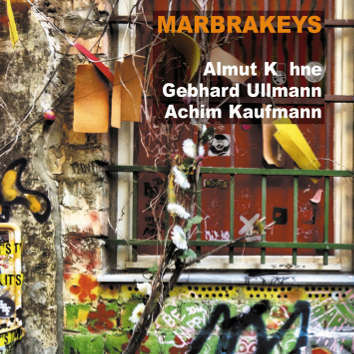 She is not intimidated to perform with two major European improvising artists: Achim Kaufmann on piano and Gebhard Ullmann on tenor saxophone and bass clarinet. There is nothing she cannot do with her voice which covers a huge range of sounds from the highest to the lowest. You would do well to remember the name —a major vocal force has arrived on the scene.